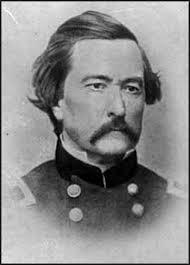 Jesus, I wish to draw Your attention to the Battle of Fort Ridgely. Will You forgive Hackinwakanda and his men their aggression towards the laws of Minnesota and the U. S. government? Will You forgive the counter judgements’ of Minnesotans’, and the U.S. government of these exact Dakota soldiers? Will You announce freedom to all parties in the spirit from the bloodguilt of this day? Where Your spirit is, there is liberty. I want to replace this curse of judgment with blessing of all ancestors of Fort Ridgely on either side of the battle! Renew their trust, their dwellings, and their property forever! Lord have mercy on our battles, and all our known and unknown enemies! Will You give us lenience, then love, for those outside our fortresses of race, class, gender, politics, religion, and culture? Alexander Ramsey takes office as the state’s second governor. He was the only man to be both appointed as governor of the territory and then elected as governor of the state. Ramsey was re-elected in 1861. In January 1863 he was elected by the state legislature to the U.S. Senate. He resigned the governorship at the end of June 1863, after the legislative session was over. Jesus thank you for Alexander Ramsey. Thank you for the leadership through two of the most trying events our state has faced; The Dakota Uprising, and the Civil War. Holy Spirit, I invite You to move and direct my thoughts and prayers. That said, today I feel You are taking me on a tangent. Master, what can one add that hasn’t been said about the Dakota Uprising? Scholars from many backgrounds have analyzed the information regarding this scar in Minnesotan history, and yet there is still a gnawing sense of brokeness between Native and non-Native Minnesotans. How to proceed? How do you want to connect the head to the heart of this issue? As a human being, I can see that there usually aren’t uprisings without provocation. These promptings could be active; i.e. land concessions pushed by rail backed by the power of the State or Federal government. These proddings could be passive; a neglect to uphold ones end of the bargain. What human would respond well if they were told to “eat grass” when they asked for provisions that were rightfully theirs? However, does an offense give us the right to commit atrocities of counter offense? To commit the sin of transference by literally nailing innocent parties to the doors of their homes? I posit to You, Good One, that although we are made in Your image, we have marred it by quashing our offender, our enemy. Who will save us from this cycle of offense and counter-offense, come “come close” and “stay away”? 1. All our unrighteous thoughts towards First Nations? 2. All our words of judgment, and verbal expressions of contempt of Native Americans? 3. Any legal expressions of contempt towards Indians? 4. Our judgment of Your handiwork; the Native American human being? In the same light, we have wrongly grouped Non-Natives as having a singular viewpoint. We have, at times, monolithically condemned those of European descent as “racist” and “invaders”. Are You not the Creator of the Americans of European descent? 1. All our unrighteous thoughts towards European Americans? 2. All our words of judgment, and verbal expressions of contempt of Non-Native Americans? 3. Any legal expressions of contempt towards European Immigrants? 4. Our judgment of Your handiwork; the Non-Native American human being? In a similar vein, will You forgive this State our offenses to You by the judgments foisted on Governor Ramsey, and any political leaders since who have wrestled such weighty conflicts? They have to make difficult choices based on incomplete information, and yet we, as their constituents, often show no mercy on their human frailties and moments of indecision! Christ have mercy on our judgments of our leaders for not fixing OUR broken hearts, and OUR divisive and untrusting attitudes! Can new laws make people show respect and love towards each other? Taking another huge bite, I’m sure the enemy wreaked havoc in the state through the Civil War. I’m sure many were conflicted about trying to establish peace between the North and the South, slave and free, through warfare. Help me sort out the things to pray over this event. First, forgive the audacity and judgments of the Church towards slavery. Granted, there was not one monolithic point of view, but there were many that named the name of Jesus, and still saw fit to hold slaves. Will You forgive us this view as a state? As a nation? As the Church of America? 1. All our unrighteous thoughts towards African Americans? 2. All our words of judgment, and verbal expressions of slavery of African Americans? 3. 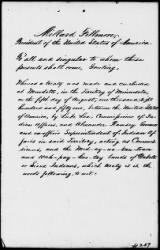 Any legal expressions of slavery towards African Americans? 4. Our judgment of Your handiwork; the African American human being? 1. All our unrighteous thoughts towards Non-African Americans? 2. All our words of judgment of Non-African Americans? 3. Any legal expressions of revenge towards Non-African Americans? 4. Our judgment of Your handiwork; the Non-African American human being? Being the son of a military father, I’m proud that our forefathers were among the first to VOLUNTEER to die in battle opposing slavery. Slavery had been a bone of contention and internal conflict in our national psyche from our founding. Thank You that many in our State have consistently supported the rights of life and liberty throughout the ages. Will You bless those who have fought with a pure heart brimming over with justice? Lastly, Dear One, how would things have been different if the Church had followed Your admonitions: rising in prayer and fasting over the injustices of slavery? Submitting our grievances to You; acknowledging Your position as King of the Universe? The Church has followed culture into physical war so often, instead of engaging the enemy in heavenly realms. We have tried to change the attitudes of our nation towards the black African slave and the American Indian through external battle. We try to bring peace to the world around us without first doing the work of making peace with You and your children in our hearts. Christ have mercy on us! We choose to honor You first this day: Barukh ata Adonai Eloheinu, melekh ha’olam…Blessed are You, Lord our G-d, King of the Universe! May we forever bring our universal problems to You! Minnesota is booming with grandiose plans and get-rich-quick schemes. 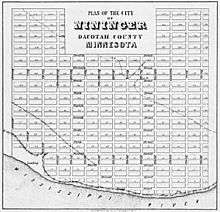 John Nininger and Ignatius Donnelly establish the town of Nininger—on the south bank of the Mississippi River, five miles up river from Hastings—in the summer of 1856. Their town exists only on paper, but in their dreams it is a great metropolis, a center of commerce and culture, a rival of Chicago. Active sale of land and building operations begin about October 1, 1856. Lord, we are looking for heaven… but usually the one of our own design. You have given us imagination to organize society and solve civic problems. We often lack the humility to remain in relationship when we are hurt, or to forgive and resolve problems. Forgive any judgments of Donnelly and Nininger towards the residents of Nininger and each other. Forgive any counter judgments of the people of Nininger. Will You continue this process until full restoration? Also, I acknowledge the financial judgments made in the panic of 1857: Eastern banks judged Western farmers, small business judged large business, etc. Lord, we have sinned against You by the judgments of the panic of 1857! Many have paid debts unfairly placed on them, and made counter judgments towards banks, businessmen, lawyers, city, county, and state officials etc. Unfortunately, we are bound by our judgments of banks, as well as state and federal laws! Free us as a Minnesotan people! Heal our economy and our hearts that easily are swayed into discontent! We have coveted our neighbor’s property! We have coveted our neighbors’ real and imagined legal freedoms! We often submit to debt out of envy! Hear our prayer! Heal our land! *Note – PrayThroughHistory uses the timeline located for several years at the Minnesota Historical Society Web site, at this URL: mnhs.org/about/dipity_timeline.htm or visit http://www.mnhs.org.